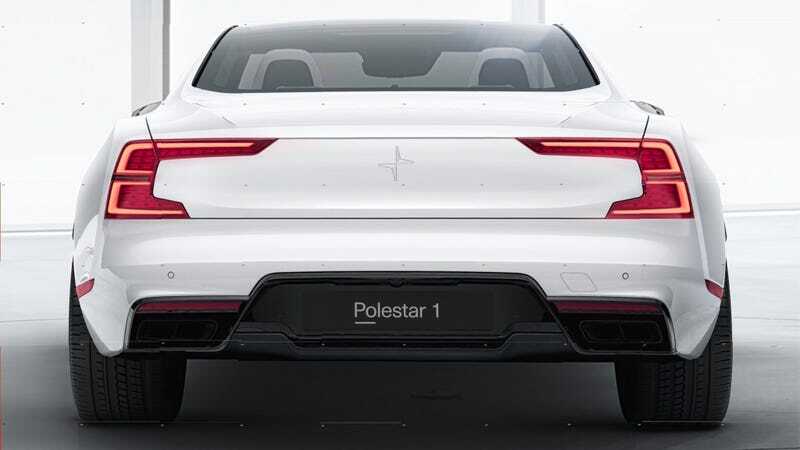 I have very high hopes for the newly standalone Polestar brand. Volvo has been hitting home run after home run as of late and I can only imagine Polestar will be like that, but better. Even the name of the upcoming Polestar car is cool: the Polestar 1. Damn! The car’s name was revealed as part of Polestar’s hype-generating Instagram uploads, where it uploaded a handful of puzzle-like tile pieces every day (above, you can see what they look like put together). The name was also confirmed by Auto Express. It’ll be based on the S90/V90/XC90 platform, but as a coupe! I repeat: As a coupe! What a time to be alive. As you know, the S90 is a large and executive sedan. Making a coupe version of it would potentially mean another palatial grand tourer on the market. Always say yes to grand tourers. We don’t have many more details other than that, but the official reveal will take place in Shanghai this week. Our own Jason Torchinsky is there now and he’ll have dispatches for you soon.